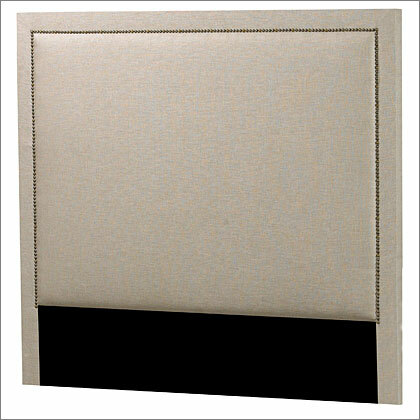 Before getting started remove packaging and place the Headboard on a flat surface, face down. Verify that you have all the parts necessary to complete the installation. The height of the headboard is fixed at 56" (140 cm). Attach the headboard to a bed frame using the enclosed parts. 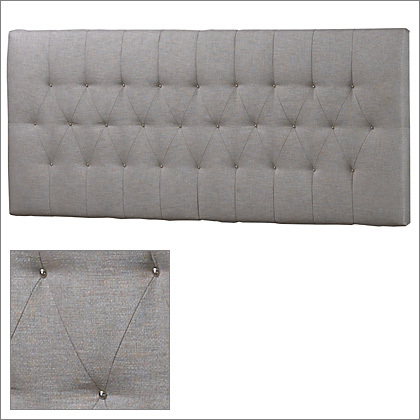 Simply attach the headboard to the bed frame using the sunken nut located on the lower part of the legs. Use two sets of screws with washers on each side. Push the bed frame and mattress with the headboard attached against the wall or simply rest the headboard on the floor behind the bed. There are five possible height positions available. Choose a height, minimum is 46" (115 cm), maximum is 66" (168 cm). Depth of your mattress and box spring if applicable. Depth of your mattress, box spring and bed frame if available. On the back of the headboard you will find a series of sunken nuts, use these to install the metal legs onto the back of the headboard using the parts attached. Position the opening in the metal legs over the two (2) sunken nuts in the location that best fits the height required. Position the open end of the metal leg at the top edge of the leg. Closed end will rest on the floor. Slip a washer on with the screw provided and screw snugly into the sunken nut. This will fix the leg on to the back of the headboard. Use two sunken nuts for a secure installation on each side. Rest the legs on the floor and push the bed against the headboard. Headboard attached to bed frame. Fix the legs onto the back of the headboard as described above. 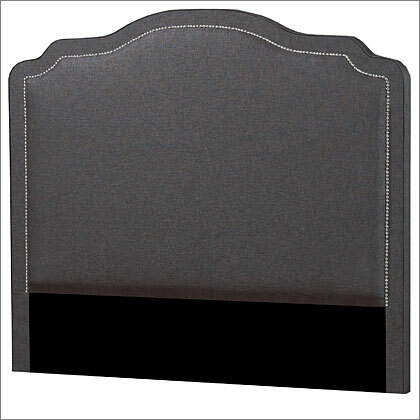 Note: this will raise your headboard by about 4" (10 cm) so take this into account when determining the height required. Attach the legs to the bed frame. Use two sets of screws with washers on each side. 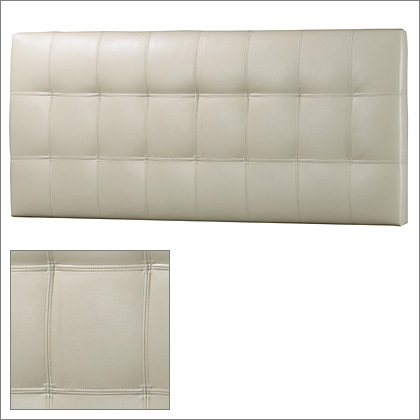 Push the bed frame and mattress with the headboard attached against the wall.